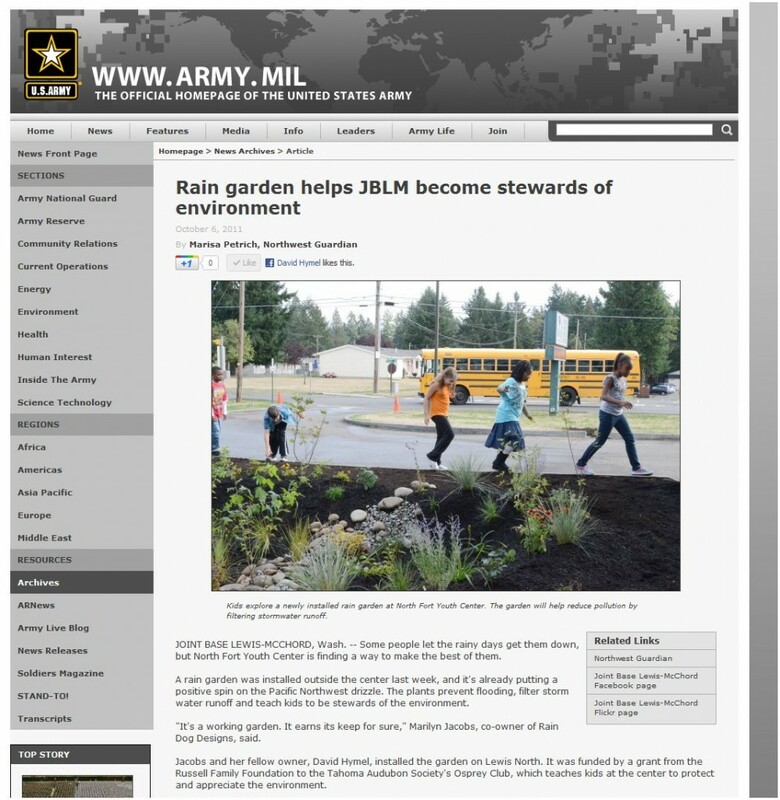 Rain Dog Designs installed a rain garden at the North Fort Lewis Youth Center in partnership with JBLM and Tahoma Audubon, October 2011. Follow our story link to the homepage of the US Army. 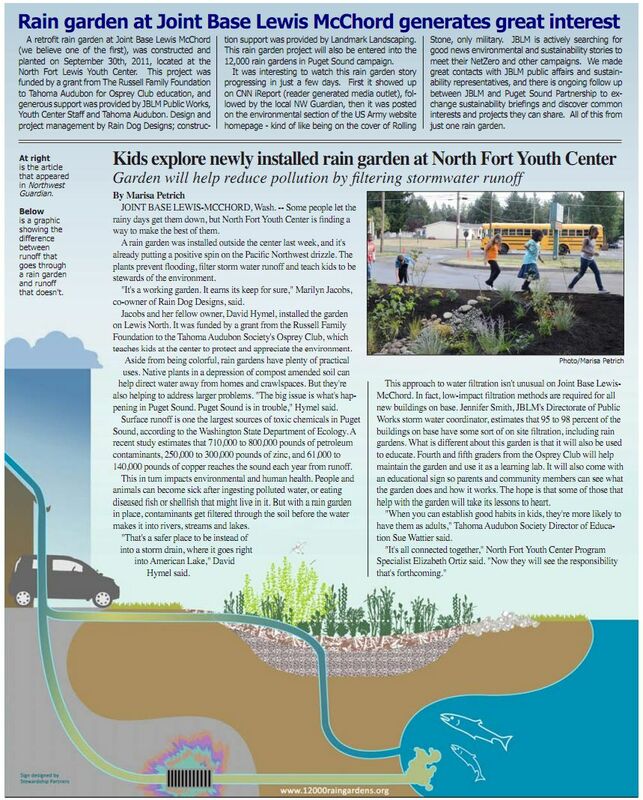 The Russell Family Foundation funded this project in support of Audubon’s Osprey Club environmental education program at the Youth Center. 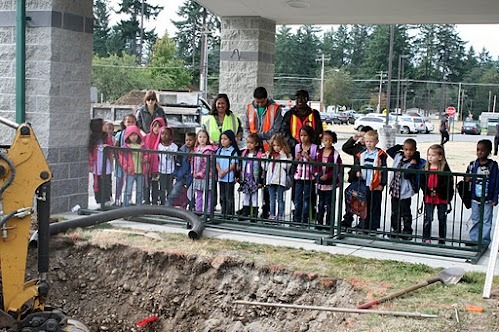 Tahoma Audubon’s magazine The Towhee features this project on page 9.